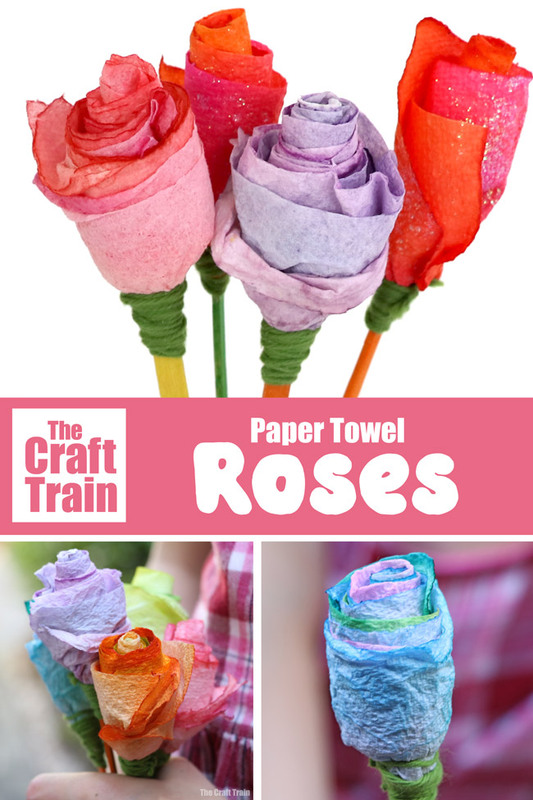 If you’ve ever wondered how to make a rose it’s easy peasy. 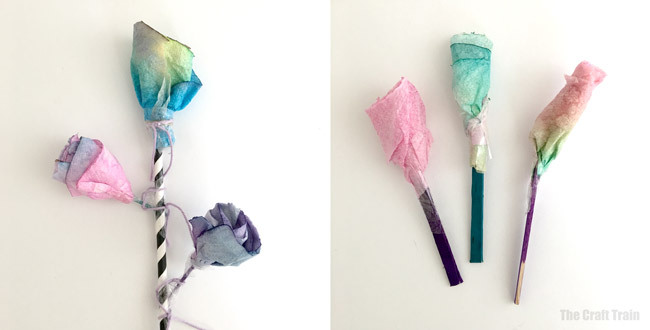 We made these gorgeous, bright paper towel roses originally for Red Ted Art’s fabulous 31 Days of love back in 2017 and I thought it was high time I re-shared them. In fact, we might just have to make some more! 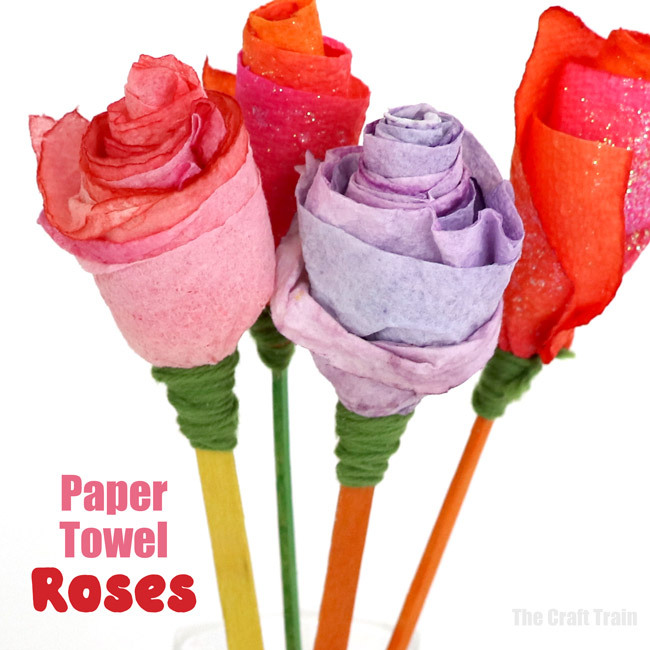 Handmade roses make wonderful gifts that kids can give for Valentines Day, Mothers Day or as a thank you gift. 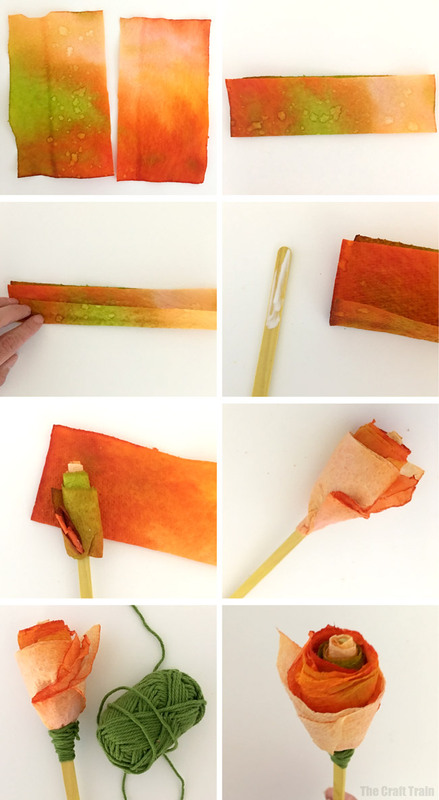 They are also a fun Spring craft idea or make a beautiful decoration any time of year. 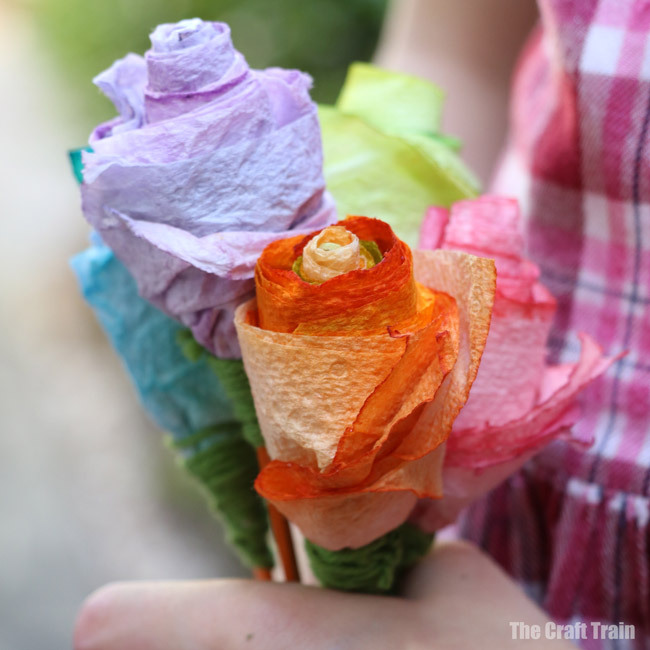 To make the roses we used some of our scrunch-dyed paper towel that the kids had made earlier. 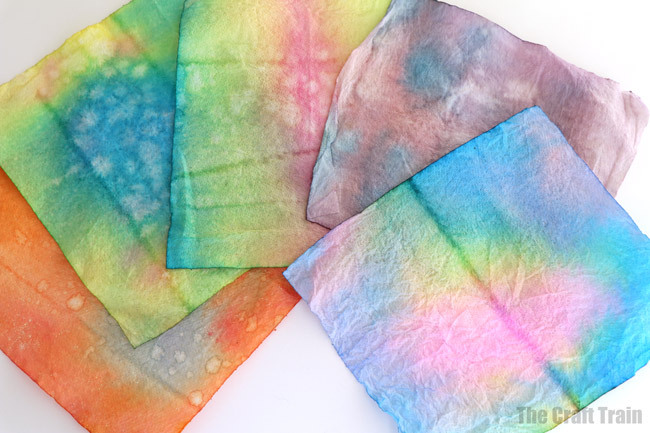 This is paper towel that is hand-dyed with liquid water colours in a “scrunch and dip” process. It’s fun and easy to make as a process art activity on it’s own. You will need to dye the paper towel earlier to give it time to dry (I’d suggest making it on a different day). We were happy with how these paper towels turned out and knew that we wanted to use them for something special. 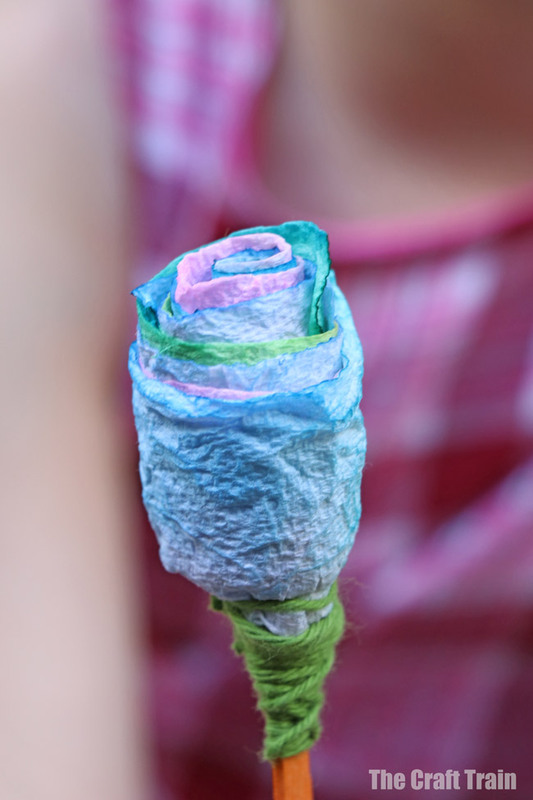 In the end we decided to make some paper towel roses. Fold the folded edge in half way. 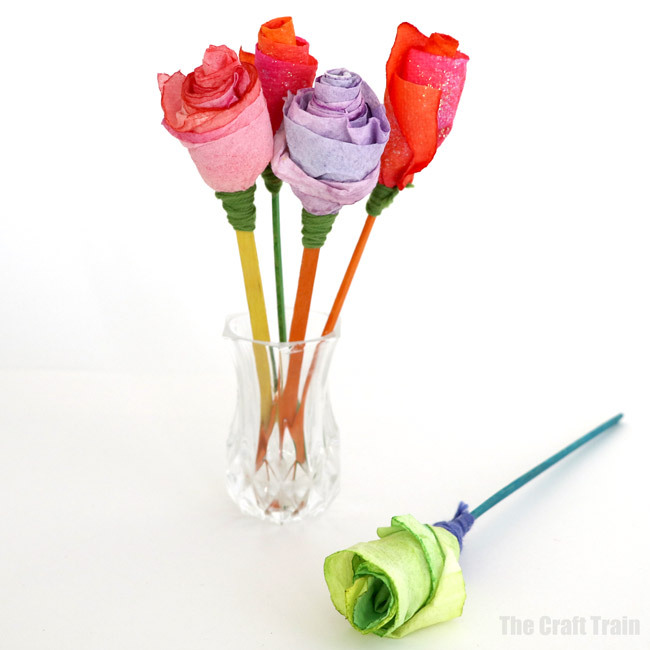 Where the base of the rose joins the craft stick, tie some yarn tightly and wrap around to cover the join. Don’t they look lovely? Now you can make a whole bunch of them! My daughter really loved making these, and made lots of them! She put sticky tape in place of the glue and made them with her own style.